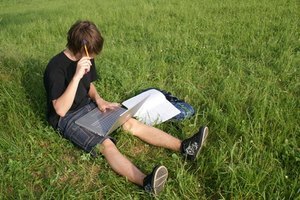 What Are the Benefits of Computers in School? 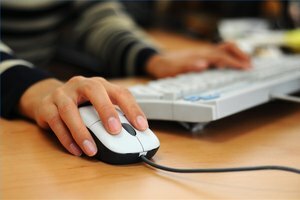 What Are the Benefits of Taking a Computer Class? Every parent wants their children to get the best possible education. In today's world, that should include learning how to use computers. Students of all ages receiving computer education will have numerous advantages over those who do not. Computers are used in nearly every facet of business. In order to be competitive for career opportunities, a lack of understanding about how a computer works is not an option. Knowing that they possess the skills needed to utilize computer technology builds students' self-esteem and encourages them to continue learning and bettering themselves. The numerous tools available for use on computers, such as word processors, spreadsheets, and graphic creation software, will not only help students in any future career they pursue, but will also help them get there by being organized and able to work more efficiently than their counterparts who do not have computer abilities. Students who understand the workings of an online world will be able to collaborate with their peers on school projects. This skill will also serve them well when they enter the workplace. Electronic communication, such as email, is a staple of modern society. A student lacking these skills is at a severe disadvantage to those who possess them. Based in Connecticut, Vicki Holmes has been writing for 15 years and has a B.A. in English from The King's College. Drawing on her 20 years as a software trainer, she has authored ten software training manuals. Holmes, as an advocate/patient for sufferers of autoimmune illnesses, frequently writes about health-related topics. What Are Some Types of Interactive Communication? Holmes, Vicki. "What Are the Benefits of Taking a Computer Class?" Synonym, https://classroom.synonym.com/benefits-taking-computer-class-5730609.html. Accessed 20 April 2019.